New York, Oct 8 (IANS) The police in East Hartford town, of Connecticut state, suspect a person of Indian-origin to be behind a variation of an Internal Revenue Service (IRS) scam, a media report said. The police are investigating a variation of an IRS scam in which a person, claiming to be a Social Security administration representative, called two residents and asked them to transfer money, FoxCT.com reported on Wednesday. “According to police, two South Windsor residents were called by somebody with an accent who was possibly of Indian descent,” the report said. “The caller said that the victims owed money to the ‘Department of Social Security’ and that they would be arrested if they did not send money via ‘Moneygram’,” the report noted. One of the victims later sent $500. Police said they tried to cancel the transaction but the money was already claimed shortly after it was sent. Police alerted the public that if anyone, claiming to be from Social Security, contacts you requesting information, do not respond to the request. People were also told to contact local Social Security office or inform the police. 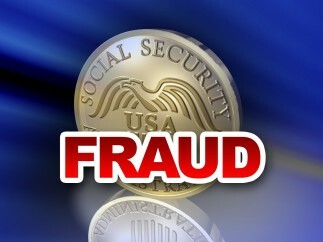 “Social Security and the Office of Inspector General (OIG) take these scams very seriously. We do everything we can to stop the perpetrators and educate the public. To report suspicious activity, please call the OIG Hotline,” a statement on the Social Security Administration website was cited as saying.